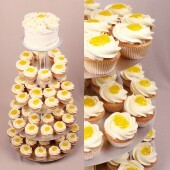 This is the freshest wedding set made of the most citrusy cupcakes. 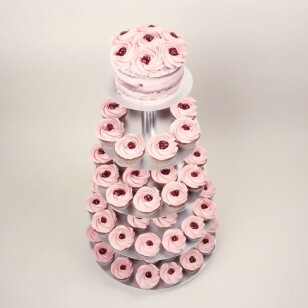 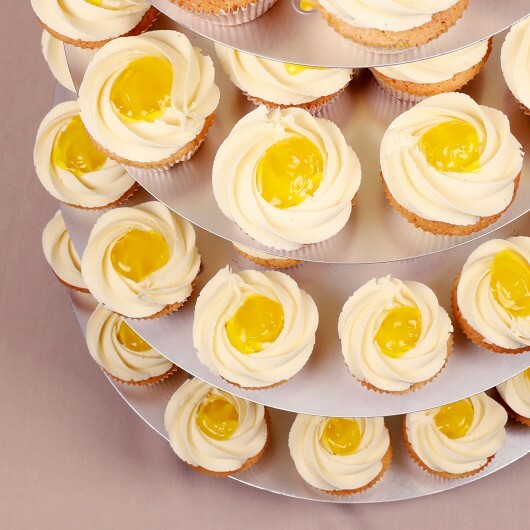 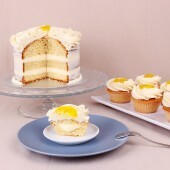 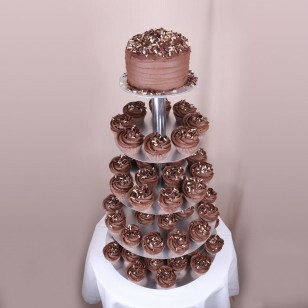 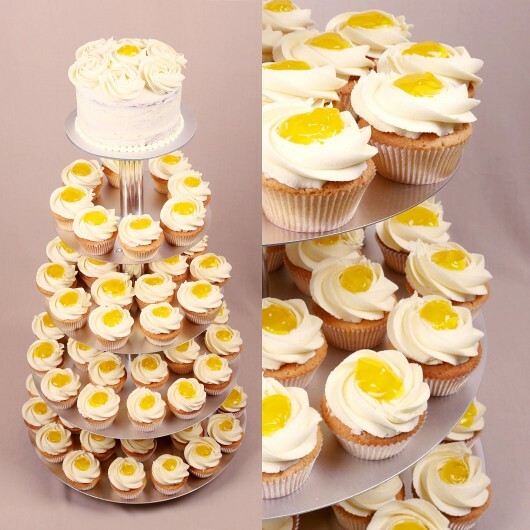 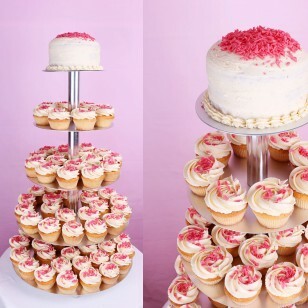 Your favourite Lemon Cream cupcake is glowing on a five-stored cupcake stand, honored to be your wedding guest. 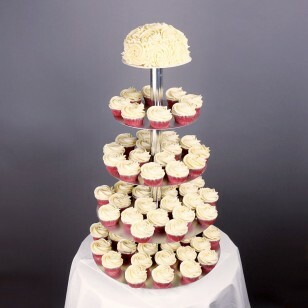 It’s also ready to tell each and every one of your guest exactly how honoured. 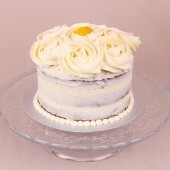 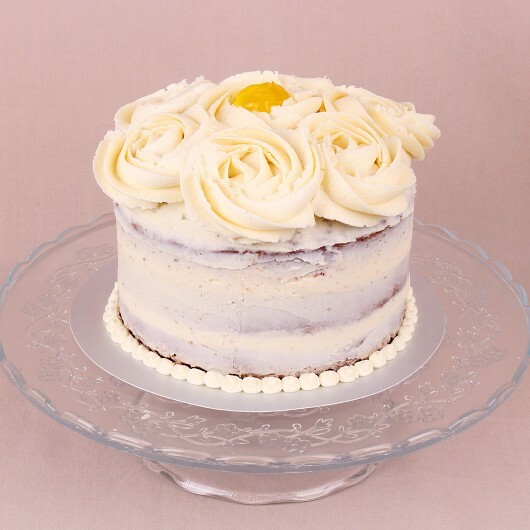 There’s also a vanilla based cake with lemon cream in between the layers especially for the newlyweds.